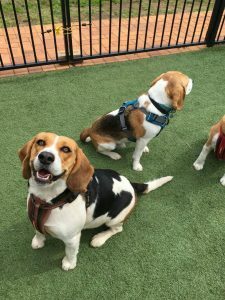 On Wednesday 31 August 2016, USQ Student Guild Advocacy Office hosted their first Beagle Stress Buster in order for USQ staff, students and community to relax and interact with some cute furry companions. 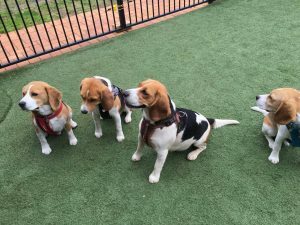 From 9am to 12pm, five incredibly adorable Beagles and one Labrador puppy made themselves at home in Clive Berghofer Recreation Centre’s Outdoor Area. USQ staff, students, gym members were welcome to drop by to cuddle and play with the Stress Busting Patrol. 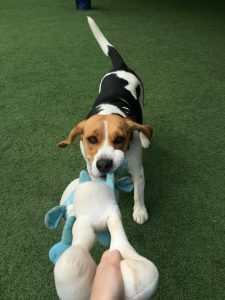 The dogs have free range in the enclosed outdoor area and happily played, chased and cuddled attendees. The Stress Busting Patrol were then welcomed to USQ’s 12pm Common Hour by excited faces and loads of pats. 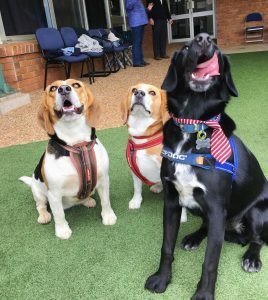 The dogs we walked around the Toowoomba Quad to provide some much-needed stress release to hard working students and staff. 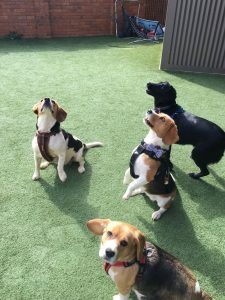 Two of the Beagles, Molly and Scarlet, even visited USQ Vice-Chancellor, Professor Jan Thomas, in her office for a cuddle. 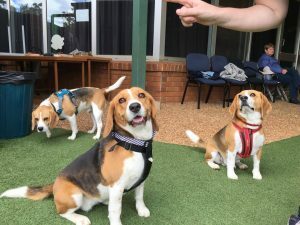 Special thanks to the Beagle Club of Queensland for bringing along the adorable, Bundy and Baxter to this awesome event and we hope to continue our relationship with them in for future events. We at USQ Student Guild believe this event was so successful, we aim to host similar events each month. The Stress Busting Patrol should be very proud of their efforts and are busy preparing for their next visit at the end of September.